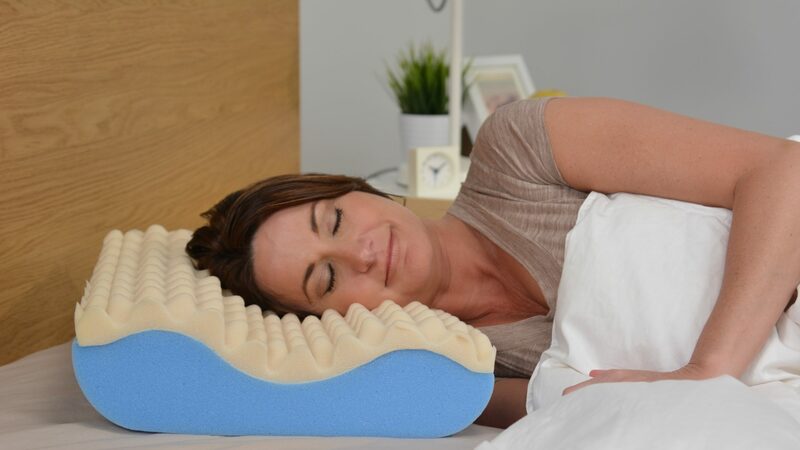 The Contour Memory foam leg pillow is a perfect solution for side sleepers who suffer from lower back and hip pain. The Contour Leg pillow helps alleviate pressure points and also helps keep your spine aligned helping ease pressure points and pain. The Contour Leg is constructed of 100% Memory Foam, and comes in your choice of color color of Ecru, Green or Blue. Order Your Contour Memory Foam Leg Pillow Today! Relieves low back strain by properly aligning knees and hips. The patented design on all of our leg pillows support and align your lower body, relieving pressure on your low back, hips and knees. The pillow fits the curves of your legs, so it comfortably stays with you throughout the night. No more wrestling with that big, bulky pillow! 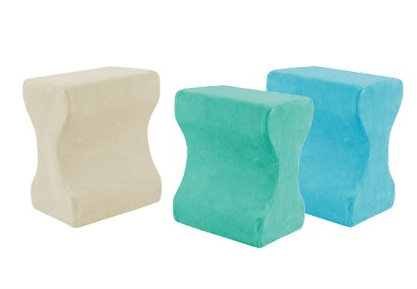 You’ll be amazed that this small pillow makes such a big difference in how you feel. The pillow fits the curves of your legs, so it comfortably stays with you throughout the night.